Stephen plays with his faculty colleagues in the Impromptu Piano Quartet. 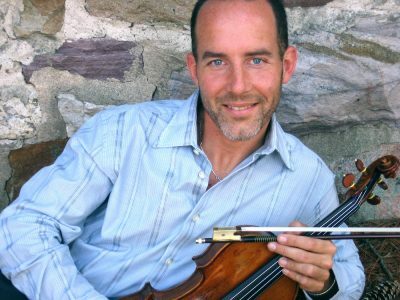 As a chamber musician and a soloist, he has performed throughout the United States and internationally. Stephen performs regularly as a Baroque violinist with the Albuquerque Baroque Players and with the Atlanta Baroque Orchestra. Stephen’s Baroque chamber music credits include concerts with the Smithsonian Chamber Players and the Newberry Consort, with such artists as with Marion Verbruggen, Mary Springfels, Elizabeth Blumenstock and Kenneth Slowik. As a member of the Sebastian Ensemble with harpsichordist Kathleen McIntosh, he has performed throughout the US, and in Spain, Cuba and Peru. George Caird is one of England’s most eminent oboe performers and educators. Following study in London and Cambridge, he pursued a freelance career which included orchestral playing, chamber music and solo engagements. 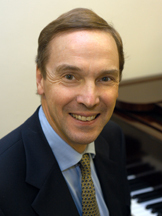 He has worked with many of London’s major orchestras including the London Philharmonic, BBC Symphony and City of London Sinfonia and particularly as a member of The Academy of St Martin in the Fields from 1984 to 1991. He has also been a member of a number of leading ensembles, notably as a founder-member of the Albion Ensemble and the George Caird Oboe Quartet. George has toured for the British Council in China, the Far East, India, Egypt, Tunisia and Canada as well as performing in concerts and broadcasts in most European countries. He has recorded for Chandos, Nimbus, Hyperion, Meridian and Proudsound labels with solo and chamber music repertoire. He has been involved in many areas of music education: teaching, devising educational programmes, coaching chamber ensembles, conducting and coaching youth orchestras and teaching. He was appointed a professor of oboe at the Royal Academy of Music in 1984 where he became Head of Woodwind in 1987 and Head of Orchestral Studies in 1991. From 1993 to 2011, George was Principal of Birmingham Conservatoire, UK from 1993 to 2010, and Artistic Director of Classical Music at Codarts Rotterdam from 2011 to 2016. George is currently performing, teaching and researching and is Chair of the jury for the Barbirolli International Oboe Competition 2017. Jane Salmon’s work as a chamber musician and as a recital soloist has taken her to more than 40 countries across the world and has involved her in more than 60 CD recordings, broadcasts for radio and television, festivals and performances in many leading venues. As the cellist of the Schubert Ensemble, winner of the Royal Philharmonic Society’s Prize for Chamber Music, Jane will be returning to the US in October 2017 and March 2018 for concerts in Oregon, California and Minnesota. As a recitalist she has premiered solo works on BBC Radio 3 and in concerts on London’s South Bank and Wigmore Hall. Recital tours have included two visits to India where solo performances to large audiences were juxtaposed with educational work in Madras, Bangalore and Calcutta. 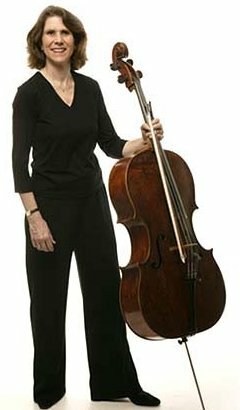 A Cambridge graduate, Jane studied the cello with Amaryllis Fleming, Pierre Fournier and Johannes Goritzki. She won numerous prizes and awards and was selected for promotion by Young Concert Artists Trust which launched her solo career. Although the Schubert Ensemble has been her principal commitment for over thirty years, Jane has been a member of the Endymion Ensemble and Lontano as well as working with the London Sinfonietta, the Academy of Saint Martin-in-the-Fields and the English Chamber Orchestra. She is a tutor of cello and chamber music at Birmingham Conservatoire. 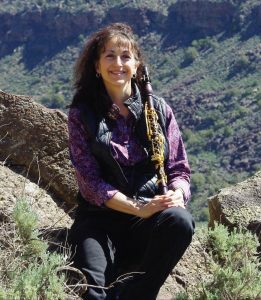 Lori Lovato is clarinetist for the Santa Fe Symphony, New Mexico Philharmonic, Sphinx Symphony in Detroit, Performance Santa Fe Orchestra, San Juan Symphony, Opera SW Orchestra, Alter Ego Jazz Trio, and founding member of the New Mexico Woodwind Quintet. She has also appeared with the Napa Valley Festival del Sole, Albuquerque Chamber Soloists, Music at Angel Fire, Chamber Music Albuquerque, Chatter New Music, Santa Fe Chamber Music Festival, Santa Fe Opera Orchestra, Santa Fe New Music, the Orquesta Sinfónica de Monterrey, Mexico, and toured with the New York Gilbert & Sullivan Players. Ms. Lovato is a graduate of Northwestern University and the University of New Mexico. Prior to her performing career, Ms. Lovato was the band and orchestra director at West Mesa and Cibola High Schools in Albuquerque, New Mexico. Currently she maintains a private clarinet studio and performs musical outreach programs throughout the community.